It really got my goat! Was this a disproportionate response? I can often recognize that I am a little too reactive as a person but not usually over-sensitive. Why did this flowery image of a red barn illicit such a sense of injustice in me? And not just me—a number of other people commented on this graphic too, expressing their concern over the assumptions that this statement encapsulates, especially when supported and subsequently defended by a site that is supposed to represent the farming community. There’s a myriad of issues embroiled in a seemingly innocent statement such as this, but the two main talking points are the personal and the political. The personal relates to the daily experiences that my female farming peers and I come up against. Sometimes, I fear that the little stories of overt and covert sexism may undermine the bigger issues, but when you look at them collectively, it’s a sizeable and complex tapestry. 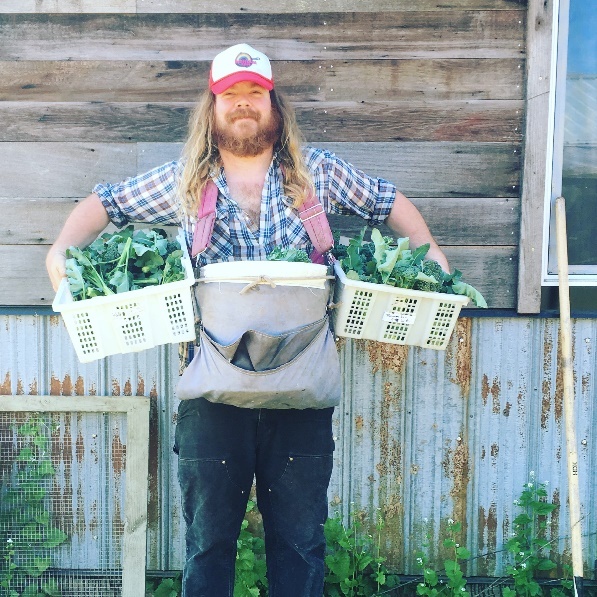 When I first started farming just four years ago, I struggled with calling myself a farmer and owning it. As I became more comfortable with my role and more assertive, I commented in my blog: “The other note about my relationship with farming is how it has become my greatest act of feminism to date. Ironically, I worked most of my previous career in social care and the non-profit sector and considered myself somewhat of an activist. However, I believe I’m making more of an impact as a feminist now and it’s completely unintentional. When I’m asked what I do, and I reply that I am a farmer, I can see many people struggle with that. They can deal with ‘homesteader’ or ‘farmer’s wife’, but the fact that I am the farmer pushes people. The next stage in their acceptance is when I talk about growing herbs and vegetables. People can imagine me puttering around a small garden with a few carrots and some rosemary but when I start talking about acres, tractors, pigs, sheep and chickens; well, it’s just too much for some and their disbelief is tangible”. “I find if Jay is with me when we’re making any ag-related purchases they’ll focus on selling to him and not to me. I run our tractor substantially more often than Jay, yet I have to fight with the sales people to give me the time of day. I’m constantly questioned condescendingly when I tell people I’m a farmer because I don’t ‘look like a farmer’ and often have people use the term ‘hobby’ when referring to what I do for a living… I’m not a hobby farmer.” – Kendall, Central Park Farms. 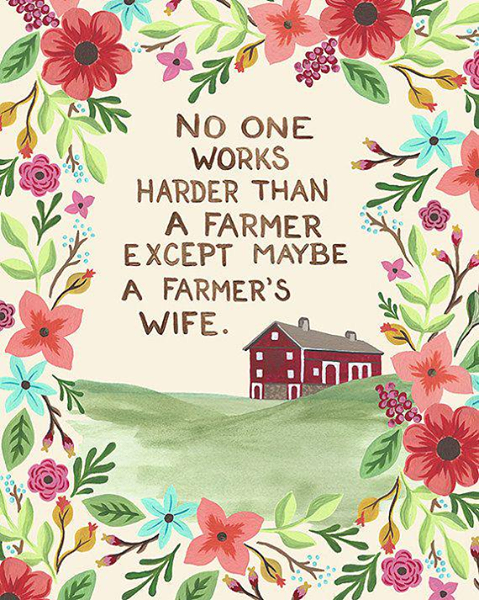 There’s nothing specifically wrong with the role “farmer’s wife”, in fact quite the opposite. Many women are proud to identify with this label. They married a farmer and support all operations on the farm and may not consider themselves the actual farmer of the land; although, I would suggest that they should still be considered an integral part of the farming team. But this kind of use of the terminology is problematic. It is gendered terminology, which is largely unacceptable in any context in 2017. All too often, the assumption is that a woman on a farm is the farmer’s wife, and there are many of us that feel that is an unfair assumption. When have you ever heard any man identify as a “farmer’s husband”? 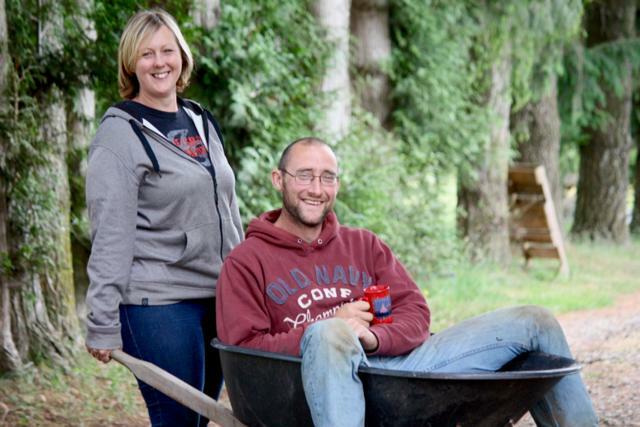 So, when you are the person doing the hard graft on your farm (either with or without a husband), it stings to have your professional status continually diminished. Politically, we are in an interesting position in B.C. According to the 2016 census, we have the highest proportion of female farmers in Canada. However, Stats Canada notes that “the fastest growing age group was male farm operators aged 55 years and older”. We may have turbulent waters ahead as we see an aging population eventually retire from agriculture while we still undervalue the fastest growing demographic. What’s more, aside from the fact that Lana Popham is our newly appointed Minister of Agriculture in B.C., women are generally under-represented in agricultural leadership. I’ve heard horror stories of our female farmers being accosted in parking lots because they did not belong on whatever “old boys” agriculture board they were trying to infiltrate. You couldn’t find a more stereotypical-looking farmer if you tried. Mark is my neighbour and farms with Glorious Organics Cooperative, recipient of zero instances of sexism that he can recall. You couldn’t find a more stereotypical-looking farmer if you tried. Ashlee is the owner of True Grit Farm and partner here at Laurica Farm. Ashlee is the owner of True Grit Farm and partner here at Laurica Farm. Ashlee reports being perceived as “the face of the farm”, as opposed to her actual role as owner and principal operator. Ashlee looks cute and always wears mascara—even on the farm. She laments about a company who told her, “You’d be great for our Instagram account.” These comments undermine the dirty, demanding work and unreasonably long hours that ladies put into farming. They are leaders but that is not what people are seeing who find value in their looks over their abilities. Perhaps in a changing political and social wave we need to collectively revaluate what it means to be a farmer and to look like a farmer. When Ashlee and Mark can stand in a room full of people and call themselves a farmer and be met with the same reaction, then we can start to really understand the valuable and equal role that ladies play in agriculture—not just in our barns but in the boardrooms too. Until you are an advocate for gender equality, you are part of the problem, so you’ll understand why “farmers’ wives” posts don’t have a place on social media in 2017. And if you need any more proof, let’s celebrate just a small handful of influential women in BC farming. Anna Helmer: Anna is part of Helmer Organic Farm in Pemberton. 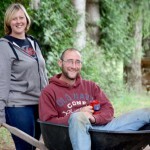 Anna writes and speaks at various events as well as being a biodynamic farmer. Arzeena Hamir: Arzeena is a professional algologist specializing in organic food production, and the owner of Amara Farm in Courtenay. Formerly the coordinator of the Richmond Food Security Society, she was instrumental in launching the Richmond Farm School. 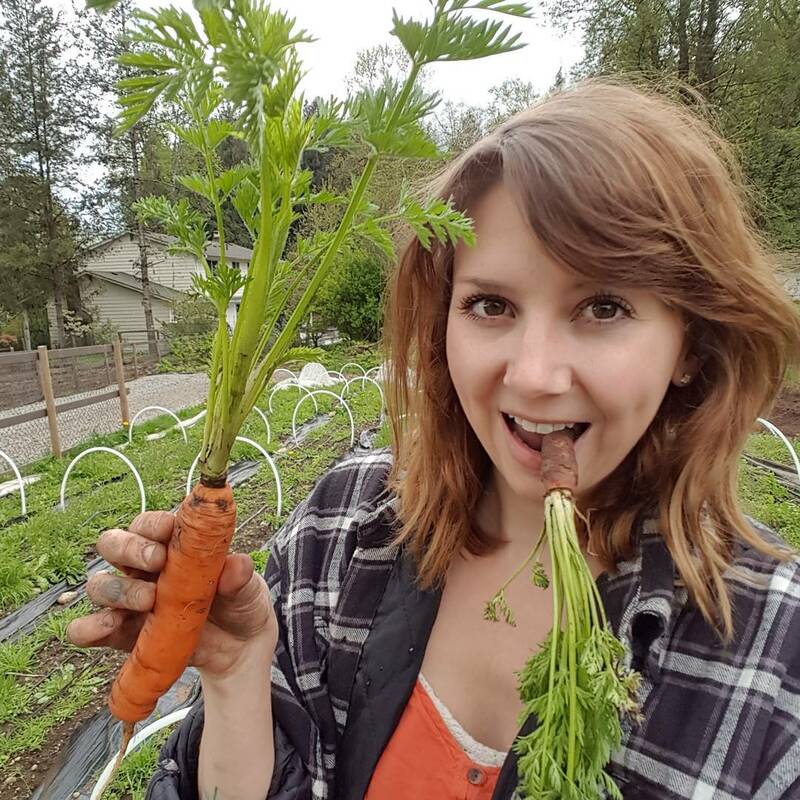 She is a director for the BC Food Systems Network, Certified Organic Association of BC, and the Island Organic Producers Alliance. Sara Dent: Young Agrarians Coordinator. Sara is a permaculture educator, farmer, photographer and project manager. 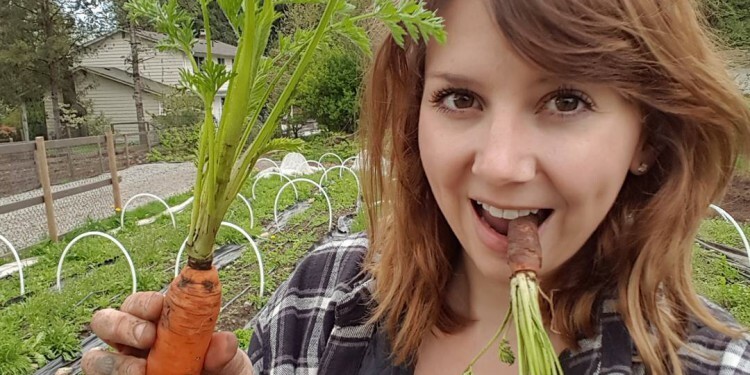 Lydia Ryall: A third generation farmer who chose not to take over her parents’ 18-acre vegetable greenhouse but instead strike out on her own and form Cropthrone Farm in Delta, she has been named the 2014 BC & Yukon Outstanding Young Farmer.